Do you find that your Mercedes is losing power when driving on motorways? Or have you found that it is occasionally misfiring? 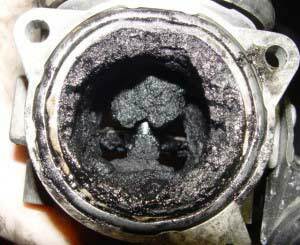 If so, this could be an indication of a blocked EGR Valve. An EGR valve was incorporated into the vehicles exhaust system to allow gasses to be recirculated a second time into the engine, to reduce the emissions in the exhaust gasses before they exit into the atmosphere. Although this helps reduce vehicle emissions, it eventually also causes a decrease in the power output of the engine due to the carbon build-up in the inlet manifold and engine. Diesel Mercedes are common for their EGR failures, and while there were much easier to bypass on older models, newer models have been programmed to identify when the EGR has been blanked off / bypassed by bringing up fault codes, warning lights and even causing the vehicle to go into “Limp Mode” to restrict the performance of the vehicle. If you find any of the above issues with your vehicle, it is more than likely that the EGR valve needs to be either replaced or cleaned. Replacing it can be an expensive option, as when the exhaust gasses are constantly recirculated into the engine, it can still cause the valve to get sticky with carbon build-up. Therefore, if you are looking at replacing your EGR valve as an option, it is recommended that it is cleaned out thoroughly with every other service to ensure that it is maintained. An alternative option is to have the EGR valve deleted from the engine ECU, by programming it to stay shut at all times. This is done by blanking it off to ensure that it does not recirculate the gasses back into the inlet manifold / engine, hence ensuring that there are no Limp Mode problems as well as any fault codes and warning lights. Sinspeed offers a completely safe and bespoke EGR Delete service which involves the complete deactivation of the EGR Valve system. We log into your vehicle’s on-board engine management system via the ECU, and from here, we can turn off the EGR valve to ensure that it stays shut at all times. By doing this, the gasses will no longer recirculate into the engine causing any blockages, and will eliminate any fault codes or warning lights related to the EGR with no further power loss issues. You will find a list of the Mercedes we currently offer EGR Delete service for below. If it is not listed, contact us on 0203 815 9441 where we can confirm whether we can offer an EGR Delete for. Tags : Mercedes EGR Bypass, Mercedes EGR Delete, Mercedes EGR Faults, Mercedes EGR Problem, Mercedes EGR Problems, Mercedes EGR Removal Edit. Looking to get my Mercedes vito 109cdi compact 2007 model EGR delete done please contact me asap. I have sent you an email – please respond with your postal code for a customised quotation. I have sent you an email, kindly respond with your postal code for a customised quotation. We have sent you an email. Kindly respond with your postal code for a customised quotation. 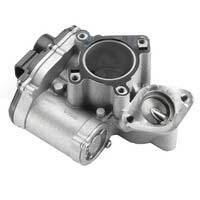 Hi need to get my egr deleted on my W220 320cdi 2003 as i am in limp mode most of the time. We need a little more information from you in order to confirm the cost of the EGR delete and where your local agent/centre is. We have sent you an email requesting the vehicle registration and postal code. Please reply to that email and we’ll be happy to assist you. I have sent you an email, kindly respond with your postal code and vehicle registration for a customised quote. Can I have a price for Erg delete please, my Car Is Merc 320 Cdi E class estate 2001 on Y plate post code is LS13 ***, cheers, Alan. We need the full vehicle registration to confirm the software on the vehicle and ensure we have a compatible EGR delete for it. I have sent you an email, kindly respond with your vehicle registration for a customised quote.